Ann Arbor, September 20th, 2018 – Oxford Companies has closed on the acquisition of 777 East Eisenhower Parkway in Ann Arbor’s south side. The 10-story, 290,000 square foot building is one of the city’s highest-profile office properties. The acquisition extends Oxford’s offerings in the city’s southside submarket with 38 buildings owned and 1,875,197 square feet now under management. Oxford will retain all leasing, property management Ann Arbor and design/build services on 777 E. Eisenhower with their in-house divisions. At acquisition, the building’s tenants included a diverse mix of financial, technology, legal and health institutions. In addition to providing some of the best views of the city, 777 offers some of the largest contiguous space in the entire city and quick access to both downtown and the freeway. Oxford is now in the planning stages for building improvements, including renovations to the first floor. They expect to invest approximately 10 million dollars into the property. 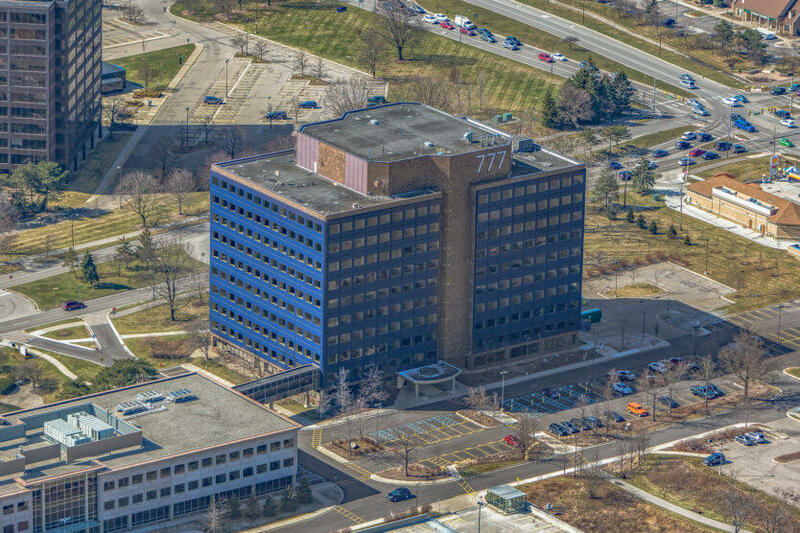 Previously, Oxford acquired the McMullen Properties portfolio—a 22-building, 704,000 square foot portfolio of southside Ann Arbor office property for more than $100,000,000. The purchase represented the largest private commercial property transaction in Ann Arbor’s history. With the acquisition of 777 E. Eisenhower, Oxford has hired 2 new employees who were employed by 777’s previous property manager, bringing their total to 83. Click here to contact Oxford’s commercial real estate management and brokerage department.